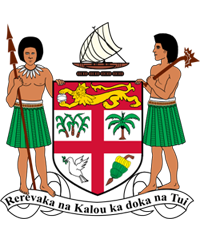 The Republic of Fiji and the Republic of Philippines established diplomatic relation in 1973 and since then the two countries have pursued friendly bilateral ties through public and economic cooperation including labour mobility. Following the credentials presentation of Fiji’s current Non-Resident Ambassador to the Philippines, H.E Isikeli Mataitoga, in January 2013, measures to strengthen and deepen bilateral and economic ties between the two countries heightened. These include the drafting of a bilateral Development Cooperation Agreement that is yet to be ratified as well as three Agro-oriented Memoranda of Understanding. The bilateral documents certainly are leverage to deepen ties and accelerate symbiotic cooperation between the two countries and their demographics. 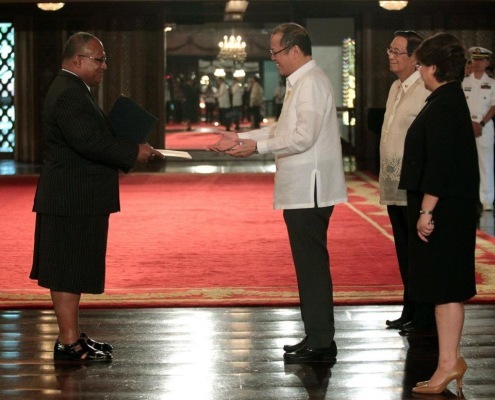 Relations between the two countries were further boosted with the inauguration of Mr. Jesus M. Pineda as Fiji’s Honorary Consul in the Philippines in November 2013. Honorary Consul : Mr. Jesus M. Pineda, Jr.